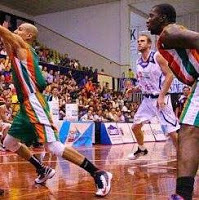 ARPwave Helps Pro BBall Player Come-Back After 2nd ACL Surgery!!! Total Golf Fitness in Less Than an Hour a Week! Elite Athletes Injury Recovery Secrets Revealed!! ARPwave Benefits Now available in San Antonio!! How to Run 100 Sprints at HIGH VELOCITY in 5 Minutes! ACL Surgeries End Most Athletes Careers!! We are following the "Come-Back Story" of Michael White, pro-basketball player, ex-UTSA standout, and two time ACL surgery patient. A little background on Mike Whites' injury. 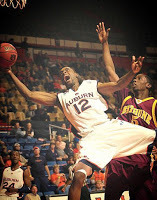 Mike originally injured his ACL during his standout college career as a UTSA Roadrunner. After surgery and traditional physical therapy Mike was able to once again play basketball at a high level as a professional, but the knee was never the same. The knee was weak, it required a brace, and needed to be iced often due to swelling. The second time Mike suffered the same ACL injury, it looked like his career was over. After the second ACL surgery Mike didn't feel like the physical therapy was helping, it was only teaching him to work around the weakened muscles supporting the knee. Mike was not yet ready to give up, and while searching for a solution, he found Neuro Sports Performance & Rehab, San Antonio's exclusive ARPwave clinic. "I have an incredible testimonial for ARPwave." "I came in after knee surgery, I was going through physical therapy and it really wasn't giving me the results I wanted. I met Paul (Neuro Sports Performance & Rehab), and he actually came through for me, it kind of saved my life and my career." "The ARPwave has changed my life, changed my body, and changed every aspect of how I view rehab and therapy." "I am very appreciative and very grateful. It has me feeling better than ever, one hundred percent better, even better than when I was in high school. And that is how great I feel, especially since getting the weight down too." "It definitely was a challenge, a great challenge, but it was worth it, and I am glad I stuck with it, and I am glad I stuck with ARPwave. And like I said, I got incredible results. If you have any type of injury, you should listen to my testimonial and I will let you know that it will definitely give you the results you want." "I had a torn ACL, a torn meniscus, I wasn't even supposed to be playing anymore. The ARPwave actually took away my arthritis, it took away the scar tissue, it took away all the bad gunk (swelling) that I had in my knee. Now, I don't even need to wear a knee brace, I don't need any of that. I can play on my own, without all that gear, and I feel light, and my leg, actually my quad has been built back up, and it is still being built back up to a level where I have my balance back, and I have my leg back up to full strength. After the ARPwave got rid of that scar tissue and then built strength in the muscles supporting the knee, the ACL and the meniscus, it gave me the results that I needed." "It's been a crazy hectic month training and trying to prepare myself, but the ARPwave got me back, just 4 1/2 months (since the injury) and I wasn't even supposed to be working out for 7 to 9 months after ACL surgery." "I got signed by a team in Singapore, The Falcons, and I am looking forward to it, it's a great opportunity to go over there and win a championship with this team, and actually get to play with one of my past teammates." "I am looking forward to it, and I can't thank Neuro Sports Performance & Rehab enough, for coming through for me, and actually sticking with me through the process, and pushing me and being there for me, and I appreciate it! Thank you!" Congratulations Mike White. Your determination is motivational. "The Best Kept Secret of the World's Greatest Athletes"
If you are the type who gets sore and stiff after a race, stop by our booth and experience the Recovery capabilities of the ARPwave. This is Neuro Sports Performance's way of getting the word out to the athletes of San Antonio that ARPwave technology has arrived. Run Pain Free - With ARPwave therapy, you can decrease recovery time from injury and surgery up to 80%, and even avoid surgery in many cases. We can also help end chronic pain permanently. "I felt so good (thanks to ARPwave therapy) that after running from California to Florida (2,520 miles), I wanted to turn around and run back." To see a quick 4 min video of Helene's motivational story, Read More HERE. • "While training I was having a lot of pain in my hip flexors, and in my shoulders from an old injury. I started the ARPwave therapy to address the pain, and shortly after that, it became my training. I gave up running just a couple months short of running across the country." • "The ARPwave therapy trained my body mechanics, alignment, staying in proper position, and I became so much more efficient." • "I became stronger, I got faster, my recovery time became quick, I was running pain free and it just progressed from there how good I felt." We took professional golfer Arron Oberholser through a warm-up, an upper body workout, and a lower body workout in Parts 1-3. And now, along with ARPwave developer Denis Thompson, we will take Aaron through what I consider the most important part, the recovery. "As we train, or as we play a round of golf, the muscles shorten. What we want to do is immediately bring back its length through recovery"
All we are going to do is put the electrodes on Aarons lower back and have him go through his range of motion exercise (see video), simply rotating from side to side. So what we are doing is taking a muscle that is fatigued and immediately recovering it. It's important for you to know that when you work out, and you wake up in the morning and you're not sore, a lot of people think they didn't get a good workout. In fact, a lot of golfers after playing 18 holes wake up and they are stiff and sore and would have trouble going out the next day. With just 5 seconds on the ARPwave, they would be able to go out the next day. And that is key, for any of you who work out or play any kind of sport. It's like the pitcher sticking his elbow in a bucket of ice, attempting to take the inflammation away, to start getting ready to play again. Well our pitchers don't use ice. They just simply relax the muscle and elongate it using the ARPwave. We are mimicking some of the exercises we did in the workout phase, but we are not using any resistance and we are using a very low current. The reason for this is that we don't want the muscle to contract, we want it to relax. "We use this technology for people from all walks of life. If you have pain, you can get rid of pain. If you want to increase your range of motion, you can increase your range of motion". Aaron, I know you consider this your secret weapon, so thanks for sharing with us. People are going to look at this and say hey, I can shorten my workouts, I can speed my recovery, I can get loose and play loose . . . . . where can I get this done? For more information on ARPwave Neuro Therapy and Training, please contact Neuro Sports Performance and Rehab - San Antonio's exclusive ARPwave clinic. In Part 1 and 2 we worked on basic upper and lower body golf fitness strengthening exercises with ARPwave Guru Jay Schroeder and PGA Pro Aaron Oberholser. In Total Golf Fitness Part 3, we join ARPwave developer Denis Thompson and once again Aaron Oberholser for a pre game warm up (Get Loose). "Last year I had a back injury that took me out of a big chunk of the PGA tour, and I found the ARPwave training and recovery protocols through my wife who has been doing them for the last 3 or 4 years. And since nothing else was working, I said fine, I'm going to go see these guys. So they start out doing what they call search and destroy, which is searching for any hot spots and then they have specific protocols to get rid of them. ARPwave stands for Accelerated Recovery Performance wave." We have Aaron all hooked up to the ARPwave to do what we call our loosening protocol. We have the electrodes on both sides of the spine and we are going to turn him side to side to test his range of motion. Now remember, Aaron is a professional golfer, so he is already going to have a great range of motion. So what we are going to do is relax these muscles to increase his range of motion dramatically. So now, we have turned on the ARPwave so the muscle is relaxed and now you can see he can go to its fullest extremity. And by doing that, for all the weekend golfers, who have sore backs and stiffness, it eliminates that completely. And the next thing we are going to do is loosen up his hamstrings. 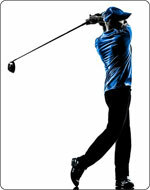 For golf, these are the two main loosening protocols, for other activities there are up to 7 body parts. As you can see, he is touching his toes very quickly, and the reason for this is the body is designed to move at high velocity and not low velocity. When most people think of electrical current, if they've been to physical therapy, they think of E-stim (Russian electrical stimulation modality), you think of the muscle going into contraction and shortening. The ARPwave puts the muscle into an eccentric contraction, which is a lengthening contraction, so this instantaneously eliminates any tightness. These Loosening protocols will give the golfer more whip, more speed, and more distance. In Part 1 we worked on 3 basic upper body exercises. In the video below you will see ARPwave Guru Jay Schroeder once again working with PGA Pro Aaron Oberholser, this time concentrating on just two lower body exercises combined with ARPwave technology. OK, we've moved the ARPwave electrodes to the hamstrings and the triceps, you see, the human body relates by triceps / hamstrings, and Quads / Biceps. So what we want to do is make sure his hamstrings can do the work they are supposed to do now. So by eccentrically elongating the triceps, we'll allow his hamstrings to do more work. Russian Lunge - The first exercise we are going to do is called a Russian Lunge, from the lunge position Aaron is going to propel himself into the air and then land in the same position. If he doesn't, then we terminate the exercise. In order to make it more challenging, we are going to turn up the ARPwave after each repetition (because that's what friends are for - Ha!). Every repetition he does, we are increasing the load on the ARPwave, until we see him break position, and that is where we terminate that set. You can actually see the look on his face that that was enough. Q. What are you feeling right now? Q.You are out of breath, are we getting cardio too? A. You will get in shape with the ARPwave, just a couple 5 minute segments a day are all you need. Q. Your voice already sounds better, so your recovery time is phenomenal, so your cardio vascular health is good? Q. So if you have knee injuries can you still do this? A. Yes sir, you can do variations of this. Speed Russian Lunge - the next variation of this exercise we call the Speed Russian Lunge, we are going to scissor the legs and we are going to turn up the ARPwave and do 4 on each side. Go! Obviously these exercises don't look like they belong to a golfer, but what we are doing is training the muscles to be used the way they were intended to be used. No matter if we play Golf or we climb rocks, or play volleyball, it doesn't matter, the same muscles are required to do the same job. We, (Neuro Sports Performance and Rehab) teach them, the muscles, to do that job very efficiently, while you guys as the golf experts teach him how to play golf. We know that the lower body explodes, and then decelerates on the golf swing just like that, so that matches perfectly. And what's so amazing is that you don't have to do a lot of this and you're getting an amazing workout. Check out the videos below where ARPwave Guru Jay Schoeder works with professional golfer Aaron Oberholser, demonstrating revolutionary training techniques based on ARPwave technology. These basic exercises work not only for golf, but all sports, well at least sports that involve hamstrings and triceps, and quads and biceps. 1. While doing upper body conditioning we are still attaching the ARPwave to the lower body (hamstrings) so the muscles of the lower body can elongate, so they can hold position, for stability, so there is no wavering going on, no shifting back and fourth. 3. And the cool thing about this is that we only have to do a few exercises and a few repetitions of them, once you see whats going on. 4. Rebound Front Delt Raise - We are working here the anterior deltoid, but in reality we are working all the muscles of the upper torso. Because when you catch a falling load the law of humans necessitates that all muscles turn on proportionately the same as the primary as the primary mover. In other words, all the muscles in his whole thorax, his arm, his shoulder, are all accelerating and decelerating, at a very high rate of speed, and a high load. The 3 pound dumbbell, falling 6 to 10 inches can become 18 pounds, then with the force he puts back into catching it and reversing the action, it can go well up into the 50-60-70 lbs range. 5. It's just like the golf club, it feels light, but when you are swinging at high speeds, it's a different story. And you want to prepare in the same manor as you are preparing to decelerate from those extreme velocities. 6. It take a good 3 months to really master these moves without dropping the weight, and obviously, the more you intensify the signal from the ARPwave, the harder it becomes and the more fatigued you'll get. 7. The way we determine how long and how may reps is when fatigue sets in, when you begin to lose position, that's when you stop the set. 8. The electrode on the hamstring is there to send a signal to the hamstring to elongate and to create a stable base. The ARPwave will eccentrically contract the muscles, elongating them so they are relaxed, and it sends a signal to the brain, that this is where I want to be when playing golf. These were three upper body exercises used along with the ARPwave technology to create golf fitness in just a few minutes a day. Our next post will highlight the lower body exercises to complete this workout. 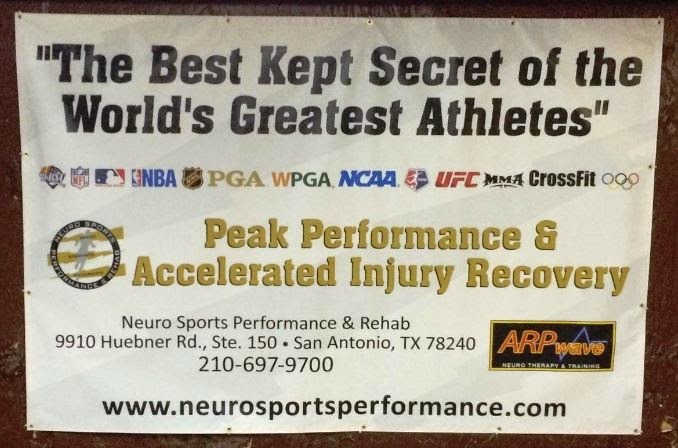 Neuro Sports Performance & Rehab - San Antonio's Exclusive ARPwave Clinic. A recent article in the Milwaukee Sentinel revealed the results of a season long implementation of the Tommy John Prevention Treatment. The ARPwave System, available at Neuro Sports Performance and Rehab in San Antonio, has been proven extremely effective for treating pitchers with UCL pain, and avoiding Ulnar Collateral Ligament Surgery aka Tommy John Surgery. The Lynn University coaches were both skeptical and intrigued all at the same time, but after seeing the results of ARPwave treatments on a pitcher suffering with chronic pain they agreed to treat the entire pitching staff with the ARPwave as a preventative measure. Note: The American Sports Medicine Institute has stated that Ulnar Collateral Ligament Surgery (Tommy John Surgery) has increased 20% each and every year from 2004-2013, and this number continues to rise at an increasing pace. Meanwhile, back at Lynn University, Boca Raton, Florida, the entire pitching staff, for the entire 2015 season, suffered zero injuries. The ARPwave, also known as "The Best Kept Secret of the Worlds' Greatest Athletes", is an FDA approved, DC Bio current device, used for Accelerated Injury Recovery along with Sports Performance Training. Until recently, this technology was only available to the World's Most Elite Athletes. 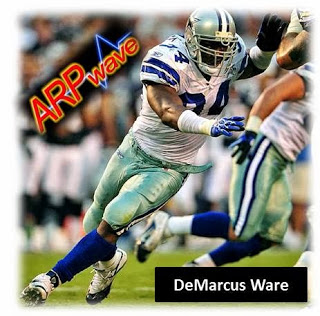 Now, ARPwave treatment is available to the everyday athlete and the up and coming superstars at San Antonio's elusive ARPwave Clinic, Neuro Sports Performance and Rehab. Over 50 athletes that were scheduled to have Tommy John Surgery over the past 20 months were healed without surgery in ARPwave clinics across the country using our Patented and Proprietary Tommy John injury protocols. One of San Antonio's best known Golf Pro's and highly respected instructors, Joe Caruso once thought he would never be able to swing a golf club without pain ever again. For over 25+ years he has been plagued with Pain and Decreased Range of Motion in his left shoulder. As playing golf was not only his passion but also his profession, Joe had tried everything including surgery with no improvement. That was until he was told about San Antonio now having an ARPwave Clinic, Neuro Sports Performance & Rehab. "Since 1989 I have had chronic left shoulder issues. I have tried everything including surgery with no results. With the ARPwave therapy in just 5 sessions, and more to come, my range of motion is back to 100% with NO Pain. Now I can enjoy the game again." 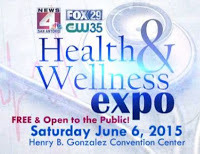 Come see us on Saturday and say hi! We will be speaking after Dr. Phil about our Accelerated Injury Recovery Protocols and will have a booth performing free "GET LOOSE" low back loosening demos. We are excited to announce that Neuro Sports Performance & Rehab has teamed up with D-Bat San Antonio and will be providing a two-day "GET LOOSE" demo event FREE of charge to all!! See everyone at D-Bat this Wednesday and Thursday, February 4th & 5th, from 5-9:30pm. Experience these benefits at the only ARP Wave clinic in San Antonio. Huebner Chiropractic & Neuro Sports Performance and Rehab. Call today for your No Obligation initial consult and treatment. 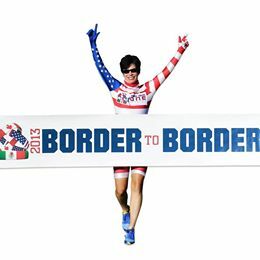 Ed Bandas, the Founder and Race Director of the Army Marathon will be in San Antonio tomorrow, Friday, 3 October 2014, promoting the third running of The Army Marathon. Ed on behalf of the many Veteran's and First Responder's Charities supported by The Army Marathon would greatly appreciate your participation and support. This event is held outside of Fort Hood which is just a short drive north. Please check out their website below and register as a participant or if running is not your thing volunteers are always greatly appreciated. THE COLD HARD TRUTH - About Football Injury Rehab And Why Traditional Treatment Is UTTERLY USELESS! FACT: Until your pain or injury is treated at the NEUROLOGICAL ORIGIN of the physiological symptom, no amount of ice, rest, heat, compression, casts, crutches or useless TEN's units will eliminate the problem. That's a stone cold fact! Why? Because where you are injured and feeling pain is where the problem ENDED UP…not where it BEGAN. And until you treat the ORIGIN, you will NEVER be 100%. Period! At Neuro Sports Performance and Rehab (www.neurosportsperformance.com) we utilize the patented and proprietary ARP Wave System, giving us the ability to go in and find out where the injury originated from (trust us…it is NEVER where it ended up), treat the issue at its origin without surgery and without drugs and once this is accomplished, eliminate the physiological symptom…..permanently. Thus there is a reason more than 600+ NFL Players trust us to get them back fast, because it works! You see, ALL injury is caused by the body's inability to absorb force. If your muscles are not neurologically "firing properly" and out of balance this causes an electrical disconnect in that muscle which leads to inflammation, the eventual build-up of scar tissue and ultimately transferring this force onto areas of the body that were never meant to absorb this force; your knees, back, hips, joints, tendons and ligaments. The best way to describe it would be this; imagine taking the shocks off your car and driving around town for a few days. The damage would be minimal but still noticeable and the ride extremely uncomfortable. Now take that same car to Alaska and back and you will do permanent damage. That's the same thing with YOUR shock absorbers, your MUSCLES. When you take away their ability to absorb force, that force is transferred to your frame/connective tissue (hips, knees, joint, ACL/MCL, etc.) resulting in injuries. Strength, Size & Speed Does NOT Prevent Injuries. Never Has, Never Will. It doesn't matter how big, strong, fast or muscular you are (we treat some of the NFL's strongest players), if your muscles are NOT turning on fast enough neurologically to absorb that hit, then your muscles go into concentric contraction (shorten into protection mode) and that force goes directly into unprotected tissue causing injury and damage. What's even worse, is the athlete is then treated where the injury ENDED UP, not where it originated from, and thus the length of time for recuperation becomes excessive and unnecessary but more than that, the injury never fully heals because the origin is still left untreated. So let's assume you suffered a knee injury and were set to be out for the next 4-6 weeks. Where do you think the trainers and medical staff would treat you? That's right, at your knee where the problem ended up. They would employ rest, ice, compression, elevation, movement protocols for the knee and maybe some useless TENS device as part of your therapy. The muscles that CAUSED this injury in the first place, however, would be left untreated. Why? Because trainers and the medical staff have been trained in how to treat the injury physiologically, they have never been fully trained in how to treat the injury neurologically. And unless they have the ARP Wave Device and understand our proprietary protocols, than they have NO DIAGNOSTIC TOOL at their disposal to locate this neurological origin (X-Ray and MRI machines can NOT locate a neurological disconnect), nor tools or programs that can break the neurological compensation pattern that caused this to happen in the first place and more importantly, they will not have a tool that not only locates the neurological disconnect but then eliminates the scar tissue causing the muscle(s) to not turn on fast enough. And until they are able to treat the neurological origin of the injury effectively…than ALL the physical therapy, surgery and rehab in the world will never, ever, ever be effective. Why is that? Simple, we are an electrical being run by a nervous system and this system controls ALL of our physiological movement. 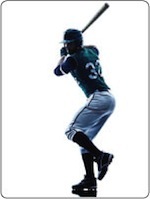 If the signal being sent to produce this movement is NOT getting through fast enough for the muscle to respond to a certain task, absorbing a hit for example, than that hit can and will bring devastating injuries. Treating the injury where it ENDED UP is treating it physiologically and thus the problem still remains long term. 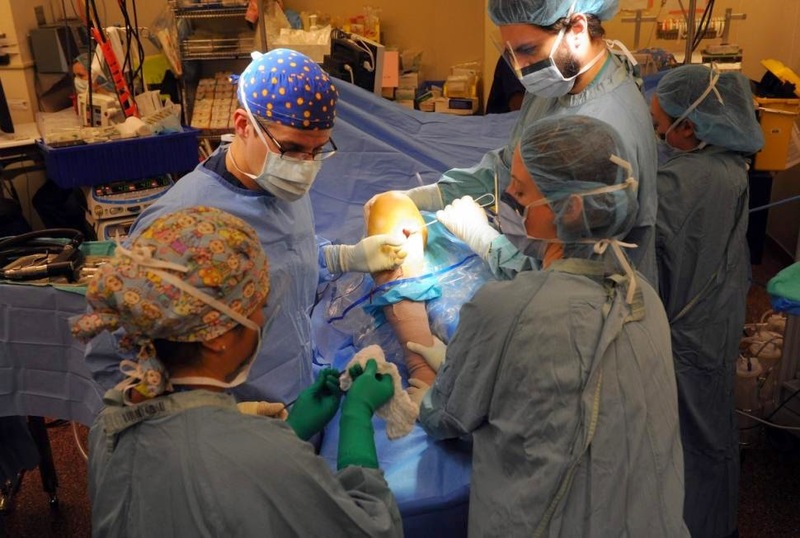 By going in with the ARP Wave System and treating it neurologically, we are able to break down the scar tissue that was impeding the signal from getting through in the first place, while simultaneously flushing blood to the injured tissue and vastly expediting the healing process. Which way makes more sense? Using Ice, compression and stim on where it ended up or going to the ORIGIN and turning the muscle back on while flushing blood to the injured tissue? Which will get better results? The answer is self-evident and that's where our system comes into play. With the ARP Wave device/proprietary protocols and in the VERY FIRST SESSION, the player will see an immediate reduction in pain in the knee (using the knee as an example) and an immediate increase in their range of motion and flexibility. Why? Because after locating the origin of the injury in this first session, we are able to put the muscle into ECCENTRIC CONTRACTION (lengthened) and take the player through the movement that hurts the most. The "before" and "after" in this very first session will be astonishing, as we will have turned on the appropriate muscles and transferred the force AWAY FROM THE KNEE and into the "shock absorbers". With the muscles in eccentric contraction, they are now firing properly and absorbing force. Traditional therapy, however, would STILL be tending to where it ended up, stalling the rehab process in its tracks. At the end of this first session they typically see a 25+% reduction in pain and a vast INCREASE in range of motion. In the second session another 25% reduction in pain and so on until session 4 where they are now PAIN FREE! How is that possible? We will have broken down the scar tissue in the muscle that was hindering it from absorbing force and more importantly, transferred the force AWAY from the knee and into the muscles, eliminating pain all together and allowing for active movement. Traditional, antiquated therapy of rest, ice, compression, elevation and stim would have continued to focus on where it ended up and the healing process would STILL be in its infancy. Ever wonder why players are lost for long durations of time and even for seasons? Because traditional therapy does NOT work. It only prolongs the process while Mother Nature does it job and when the job is "finished", the problem STILL exists. On the ARP Wave System, however, we are contracting the muscles at 500 X per second neurologically, flushing blood to the injured area while treating the injury with ACTIVE movement. Something no other therapy can replicate and allowing us to take an 8 week recovery time frame for example, down to 8 days or less with BETTER RESULTS and a stronger player. Treat the ORIGIN neurologically, you ELIMINATE the injury physiologically at an accelerated pace. 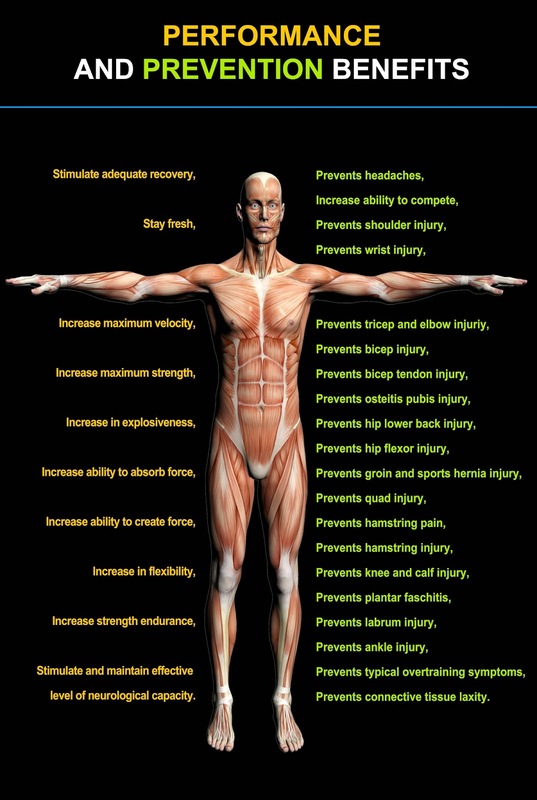 Sessions 5-10 PAIN FREE, ACTIVE MOVEMENT…..BACK ON THE FIELD!! In sessions 5-10 we will now take the athlete through proprietary protocols to break the neurological pattern that caused this injury in the first place. In essence, teach the muscles to respond in the correct way and move properly neurologically. Once this is accomplished, the player is PAIN FREE, INJURY FREE and is stronger and more stable in that area than they have ever been before but more importantly, they are back 60-70% FASTER and completely asymptomatic! However, most of our players follow through with sessions 11-20 where we neurologically continue to strengthen the muscle but this is done in conjunction with playing at full speed in their practices and games moving forward. 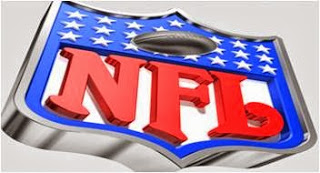 Used By MORE Than 600 of Our NFL Clientele! Well, NOW our Accelerated Injury Recovery Program (the exact same program we use for our NFL clientele) is now available to the Greater San Antonio Area high school football players, allowing them to recuperate from injuries 60-70% faster than traditional therapy with far, far better results. No more sitting out weeks or even months at a time for injuries that can be rehabbed FULLY in days. No more wasting valuable time treating the PHYSIOLOGICAL SYMPTOM of the injury when you can treat the ORIGIN and eliminate the injury permanently! 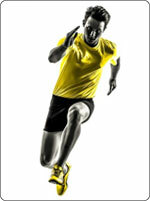 TRY OUR Accelerated injury recovery program Today!! Come Back From Injury 60% FASTER!! Call Today (210-697-9700) or go to www.neurosportsperformance.com and schedule your FREE NO OBLIGATION initial consult and treatment. How to Run 100 Sprints at HIGH VELOCITY in 5 Minutes!! 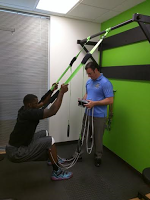 At Neuro Sports Performance and Rehab in San Antonio, TX, we now have the patented POV Sport System and proprietary protocols developed by uber trainer to the NFL elite, Jay Schroeder. With this technology we are able to train athletes at high velocity at a sustained period of time, producing results and outcomes that would be impossible for an athlete to achieve on their own through any other means, even steroids. One of those ADVANCED TRAINING tools is what we call "Extreme Slow" Training for Speed and Strength, where we take the athlete through a certain sport movement ONCE over a 5 minute period, thus the name Extreme Slow. The results for the athlete are two-fold. The signals being sent from the POV are neurologically contracting the muscles at 245X per second, which is HIGH VELOCITY. When this occurs, the brain needs to send mechanisms to support this high velocity, in the form of fuel, additional muscle fibers (muscles they have probably never used for sprinting and speed), etc. The brain is being told by the muscles that it is training at max velocity, so in turn the brain needs to create the SUPPORT for that to continually occur. This benefits the athlete greatly. We are now creating a new foundation of neuromuscular support for the athlete as if they were training at max velocity, allowing for them to achieve feats of strength and speed they could never replicate in a weight room or fitness facility. Over a 5 minute Extreme Slow sprint for example, the athlete goes through this motion ONE TIME, but the muscles and brain think this is happening neurologically 245 X per second and in doing so, creates a foundation and muscle memory for this to be replicated on the field! By doing it in Extreme Slow, the athlete can train at this high velocity WITHOUT compensatory actions. For example, if you are max bench pressing and trying to get that final rep…you would arch your back, use your stronger arm a little more than the other to compensate and push it to the final point. That is compensatory actions. If you were to run as fast as you could over 100 yards, in the last 10 yards you swing your arms harder, bend your head lower, or use other positions or compensatory actions to finish the sprint. In Extreme Slow, however, you can do it with PROPER FORM and even CORRECT certain flaws in motion, which would be impossible to do in real time. While you are doing this however, remember the muscles and nervous system think this is occurring at max velocity and max speed so you are creating MUSCLE MEMORY of this sprint or this action and doing so with almost perfect form. The muscles neurologically think you are training at MAX VELOCITY with hundreds of reps which creates a new neurological muscle memory pattern, and the brain is sending mechanisms to SUPPORT these actions. Making you STRONGER, FASTER and LESS susceptible to injury. What we also do is what is called "Loosening" protocols on the POV, which will allow our clients to INCREASE their range of motion by more than 25%, increase their body's ability to absorb force by more than 10X and more importantly DECREASE the chance of 80% of all sports related injuries. This is absolutely paramount for athletes, especially football, basketball, gymnasts, and other sports where injuries are common. By "loosening" up prior to a practice or event, the body's ability to absorb force and stress is at peak levels and the chance for injury almost zero. The Loosening protocols are done from neck to feet and have a dramatic effect on strength, speed and agility while the Extreme Slow will focus mostly on explosive speed, jumping and strength. What the above does is PREPARE the athlete to display strength, speed and SKILL and have the FOUNDATION in place neurologically and physiologically to do it without compensatory actions having an effect. In a recent New York Daily News article, the author sited an August 25, 2014 study from the British Journal of Medicine which determined that 55% of all athletes who undergo ACL reconstruction surgery never return to competitive level sports. According to the American Academy of Orthopaedic Surgeons, about 200,000 ACL knee injuries happen each year in the United States and half of those are surgically repaired. With the rising number of younger athletes injuring their ACLs at alarming rates, the majority are having their competitive sports dreams dashed before many of them even reach college. According to a medical study conducted by the University of Hawaii's, John A. Burns School of Medicine, 25 patients with ACL injuries where studied to determine the effectiveness of the ARP Wave Therapy. This therapy has been around for over a decade but was mainly reserved for professional athletes. According to the study, 14 of these patients used the ARP Wave therapy post ACL surgery while the others used traditional (PT) Physical Therapy. Every ARP Wave patient recovered faster from surgery than the other patients. 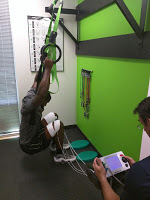 At Neuro Sports Performance and Rehab, we are excited to announce that we are the only ARP Wave Clinic in the Greater San Antonio Area and offer the full range of ARP Wave therapies and protocols to not only help athletes recover better and faster than with traditional Physical Therapies but also, in most cases we are able to prevent the ACL surgery altogether! Fact, where you feel pain or are injured is not where it originated, ever! Somewhere a muscle or muscles are not absorbing force as intended do to a neurological disconnect. This means that the signal being sent by the brain for that muscle or muscles to turn on fast enough to absorb force is not getting through, due to scar tissue or sodium potassium leakage. When this occurs force is transferred to areas of the body not meant to absorb it, such as your joints, ligaments or tendons. This incorrect absorption of force causes injuries such as ACL and MCL tears, damage to the Ulnar Collateral Ligament (UCL), and many others that can end your season. With the ARP Wave system and proprietary protocols, we are able to locate this neurological disconnect, turn the muscle back on so to speak and transfer the force away from the injured tissue back to your supporting muscles (which act as your shock absorbers), and in the process vastly accelerate healing. Want To See The POV Technology In Action? Contact us today @ 210-697-9700 or email info@neurosportsperformance.com and Schedule a FREE Demonstration.